On December 17, 1903, the Wright brothers made history with the world’s first successful controlled flight of a heavier-than-air flying machine. 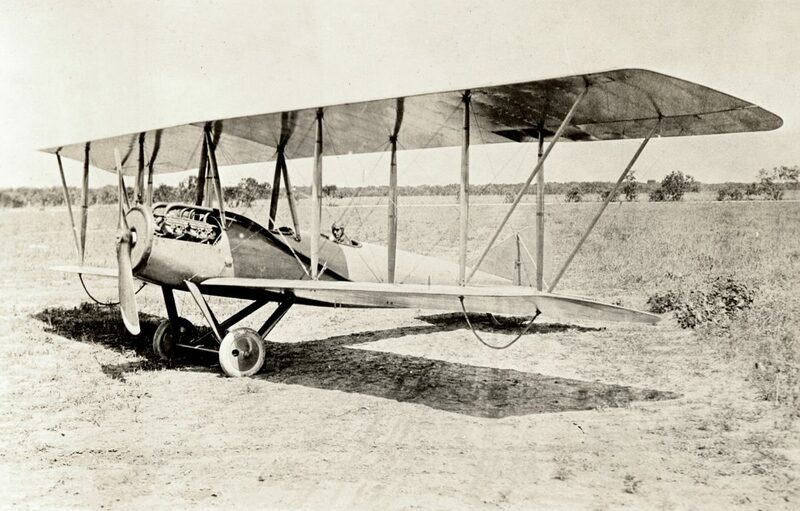 Many consider the Flyer to be more than a single invention but the combination of many innovations that worked together to create propulsion, aerodynamics, and control. In the process of designing the first successful aircraft, the Wright brothers also engineered the first successful aircraft propeller with a twisted airfoil design. Early renditions of the airplane propeller were based around a rotating screw design. In the mid-1700s, inventors began using rotating screw technology for boat propellers, and by the 1800s propellers were standard technology on a variety of vessels. In the late 1800s, several flying machines emerged from early pioneers who based their propellers on screw-shaped design. But it was the Wright brothers who were the first to acknowledge that an aircraft propeller should be shaped more like a wing than a screw. The two brothers reasoned that propellers could act like rotating wings spinning through the air. The idea was that the rotating propeller blades would act as “airfoils” (wing shapes) that produce a pressure differential, displacing air backward to produce forward thrust. Using data from their wind tunnel experiments, the Wrights created an efficient propeller design modeled after one of their wing shapes. They then set out to invent a propulsion system that utilized a small engine and two large, slow-turning propellers. The Flyer’s propellers were hand carved from spruce and had a diameter of more than 8 feet. The propeller blade tips were covered with canvas fabric and varnish to prevent the wood from splitting. The Wrights added a twist along the blade’s length to create a more consistent angle of attack for the blade, ensuring that the blade pulled a consistent amount of air toward the plane with each rotation. The brothers tested their initial propeller design in their bicycle shop in Dayton, Ohio using a two-horsepower motor. Their design worked, and the finished project is estimated to produce a maximum efficiency of about 66 to 70 percent. Today’s propellers are around 90 percent efficient. The 1903 Flyer launched the “pioneer era” of aviation, and the Wrights paved the way for the aviation industry as we know it today. But it was their innovative airplane propeller design that took functional aircraft propellers from an idea to reality. Today’s propellers are made using wood, aluminum, or composites. As engine power increased in the 1940s, propeller designers used wide rectangular propeller blades that could absorb more energy than round-tip blades. Propellers today can have anywhere from two to six blades. Hartzell Propeller has been improving propeller design since the early days of aviation, after Orville Wright suggested Robert Hartzell start manufacturing hand-carved propellers from his walnut wood factory in 1917. Today, Hartzell’s propeller designers continue to search for maximum performance while meeting limits on diameter, weight, strength, and noise. You can learn more about Hartzell airplane propeller design here.